Since the halcyon days of T.V. garden makeover shows, decking has become an increasingly common sight, both at home and at leisure facilities and hotels.While these areas provide a functional, versatile outdoor space, they are often compromised by one limiting factor – the decking boards themselves. Because of their wooden construction, most decks need ongoing maintenance to maintain their looks and level of performance, which is why Millboard developed its own unique composite decking. 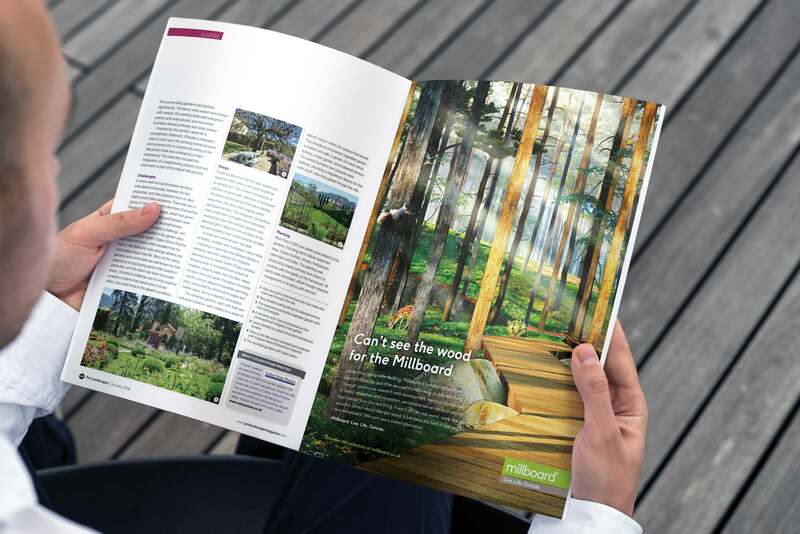 While its products were previously marketed as a direct competitor to other, less natural-looking composite boards, Millboard called on SLG to create a strategy which would see it appeal to a larger market, and bring composite decking into the public eye. Working with Millboard, SLG identified the decking’s key qualities as its realistic appearance – with each board being moulded from natural timber – and its exceptional performance, including slip resistance, low maintenance, and lack of warping or rotting. 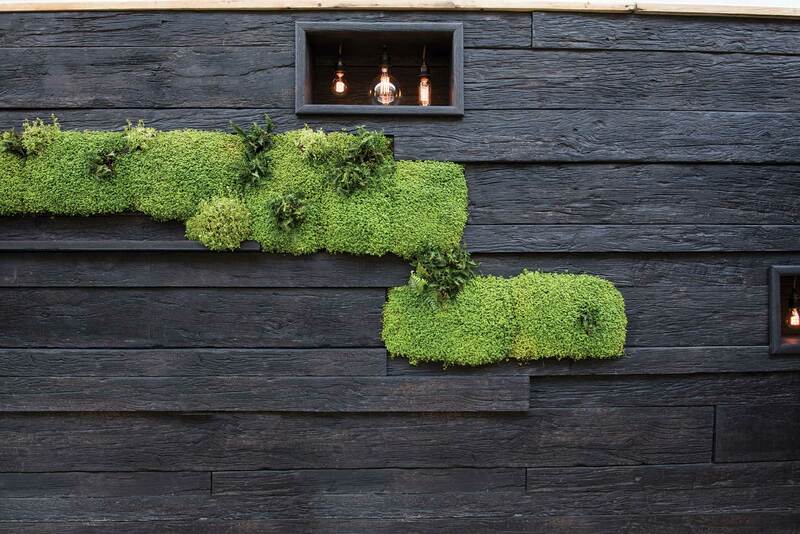 Simply, Millboard’s products take the best qualities of natural wood, and enhance them. Making them a strong competitor to the larger timber decking market, not just another composite deck manufacturer – a stance that also gave rise to a new campaign. Seeing Millboard decking inserted into a natural forest scene, ‘Can’t See the Wood for the Millboard’ pushed the authentic textures and colouring of its decking to the forefront, while making its benefits abundantly clear. From the beginning, the aim was to not only raise Millboard’s profile with its previous audience, but to expose new members of the public to its products. As a direct result of the repositioning and campaign activity – including digital and press advertising and the use of Direct Mail – Millboard saw a 55% year-on-year increase in web traffic, and an 81% rise in product sample requests, a figure which is made all the more impressive in its post-GDPR compliance landscape.